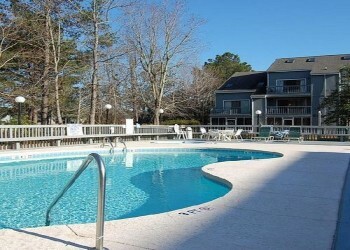 Golf Colony Resort offers a tranquil setting just a short distance from all the activities on the Myrtle Beach Grand Strand. Multiple outdoor swimming pools just a few steps from your condo provide a convenient day of relaxation. Enjoy outdoor grilling on the many conveniently placed grills. If a day at the beach is what you're looking for, the Atlantic Ocean is less than 1 mile away. There's free public access and parking available. Units are completely furnished with your own personal washer and dryer. Each unit comes with a private screened porch for your enjoyment. Two bedroom units sleep 6 with 2 full baths. Beds include a King in the master, 2 twins in guest bedroom and a queen sleeper sofa.